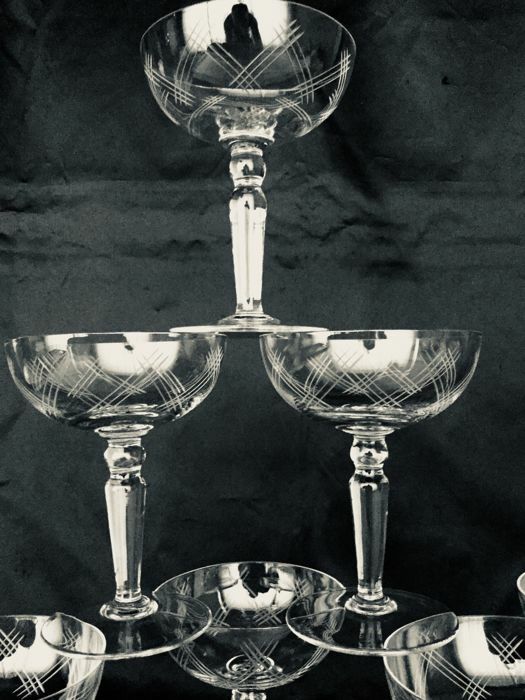 with a beautiful engraved pattern, typical for the 1920s/1930s. 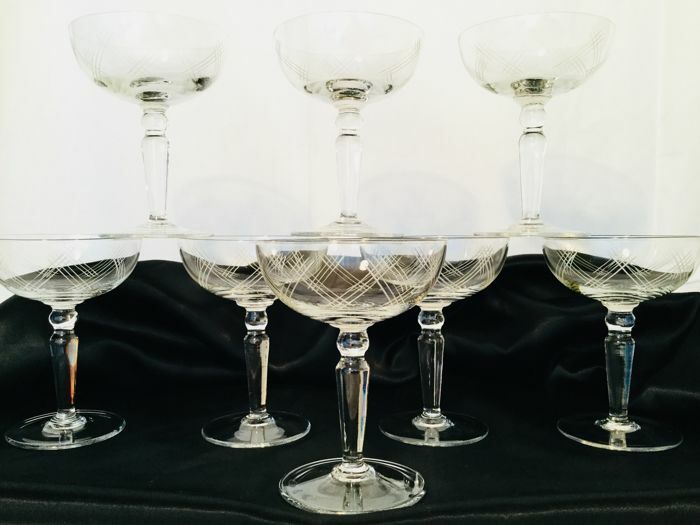 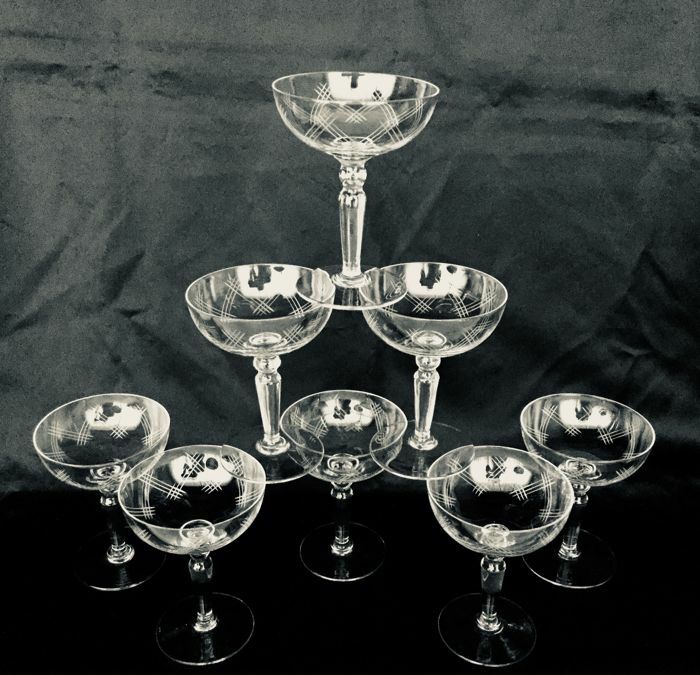 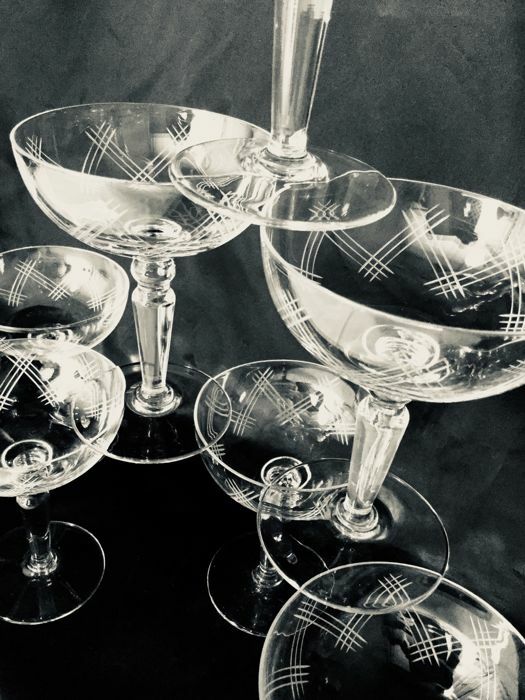 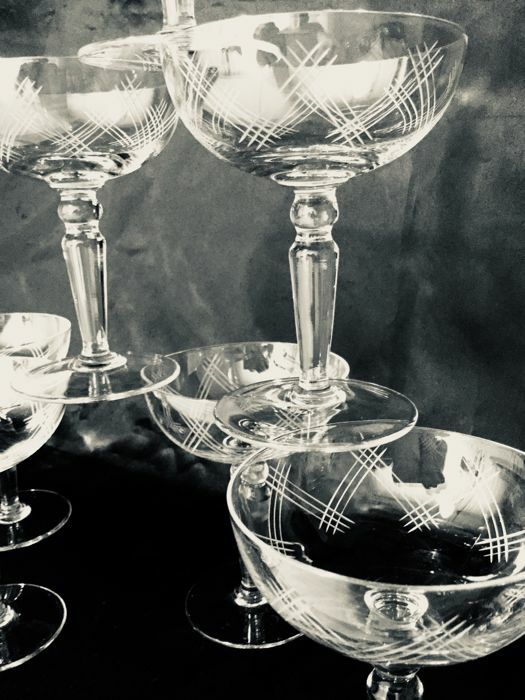 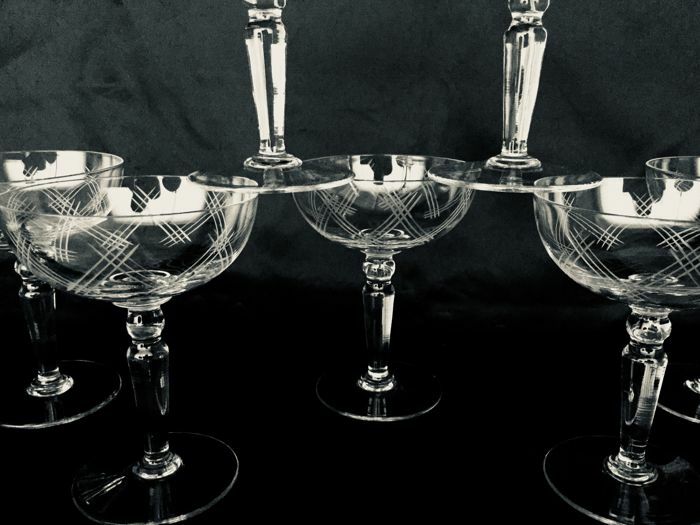 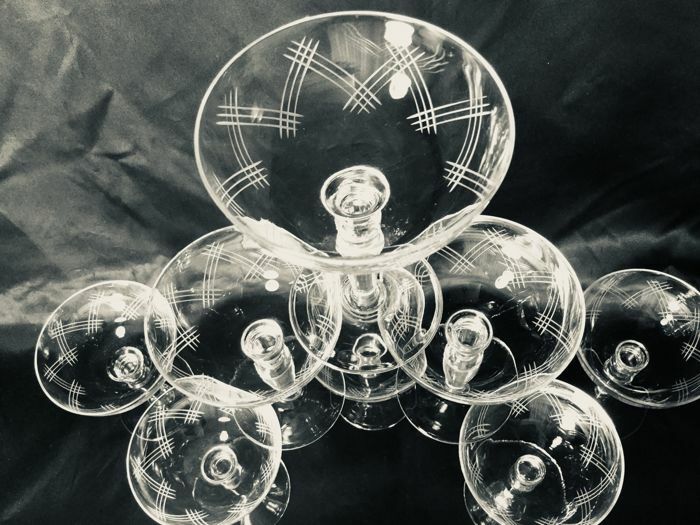 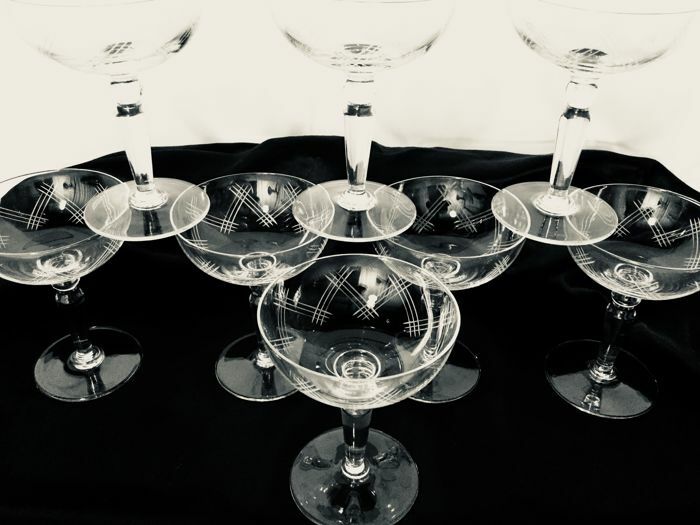 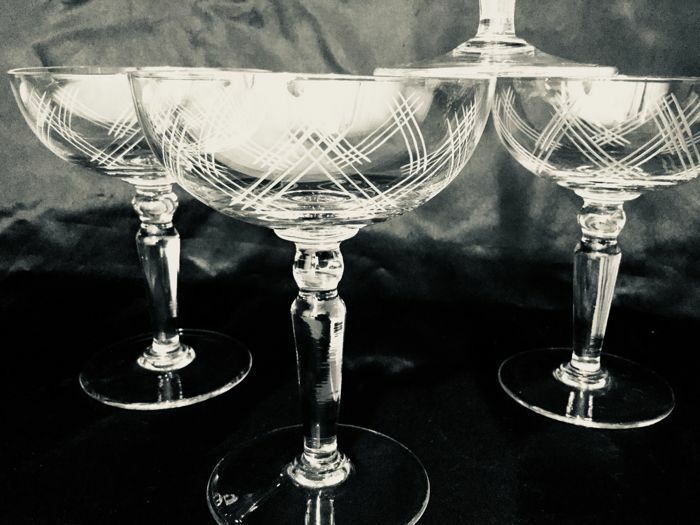 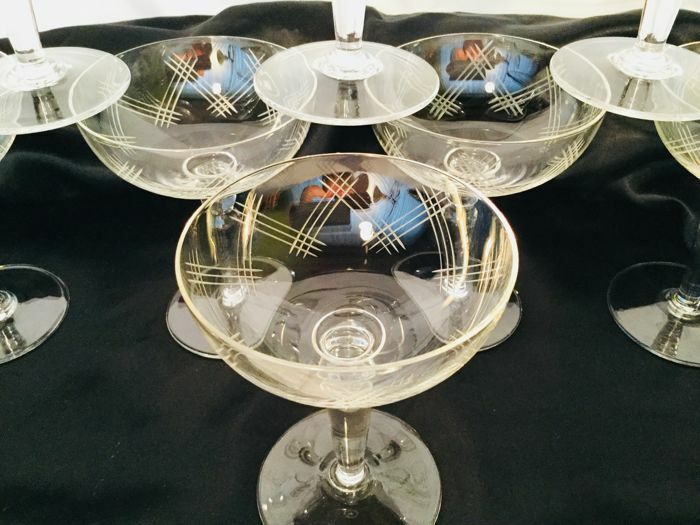 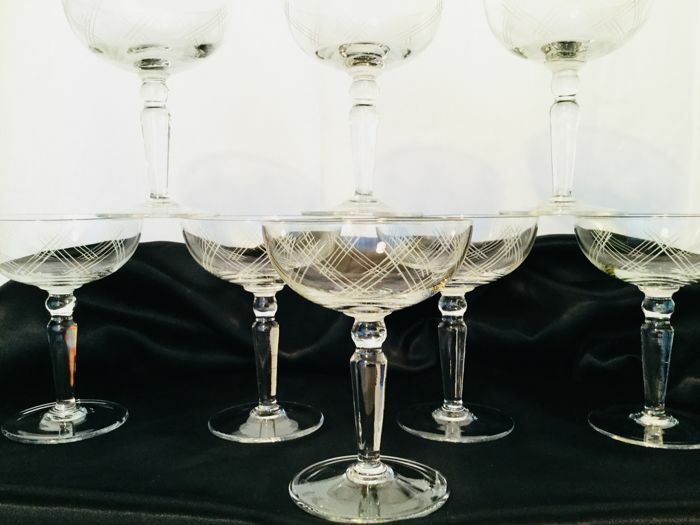 These antique coupes date from the start of the previous century, circa 1930, France. 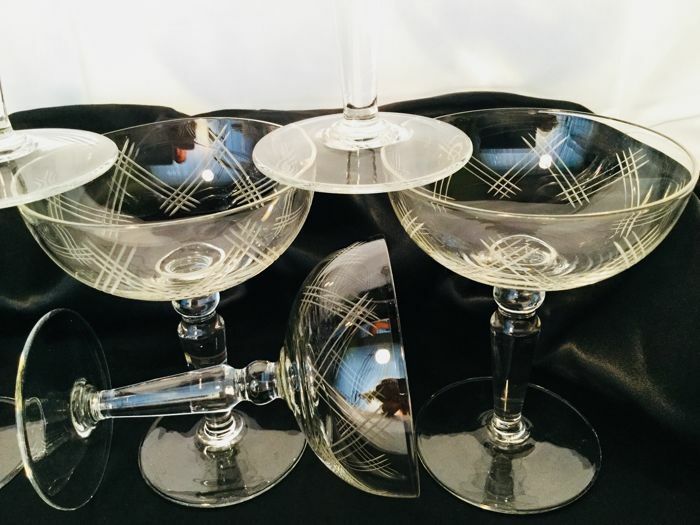 These clear crystal glasses give off a clear gonging sound during a toast, unique to crystal. 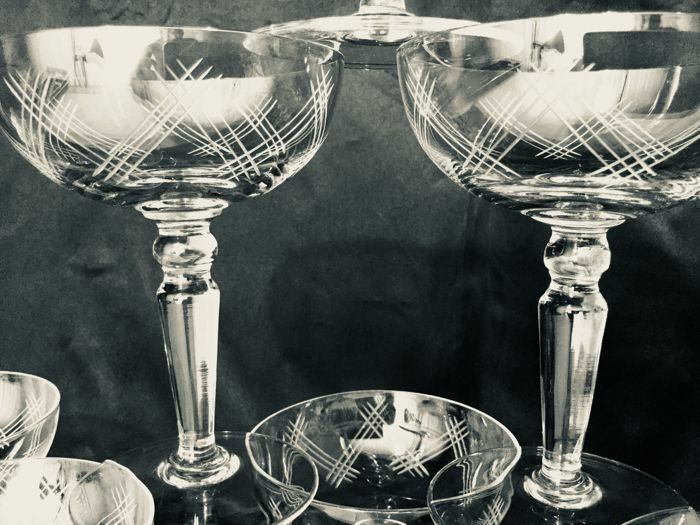 Very beautiful engraved pattern of zigzag stripes, and supported by an elegant foot. 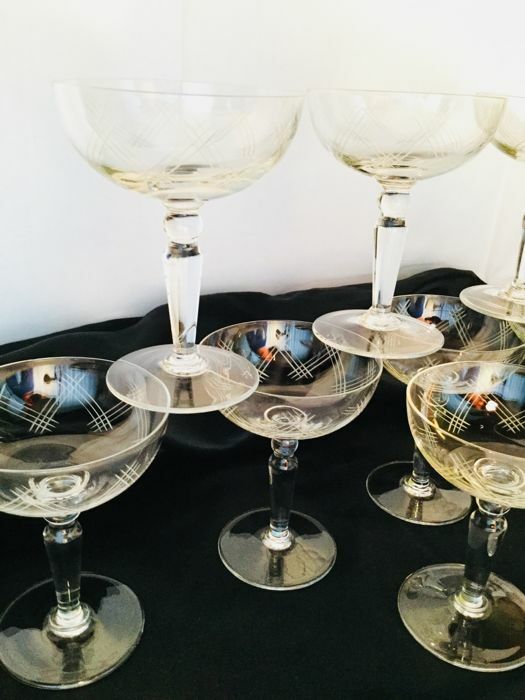 taste and glamour to your festive occasions! 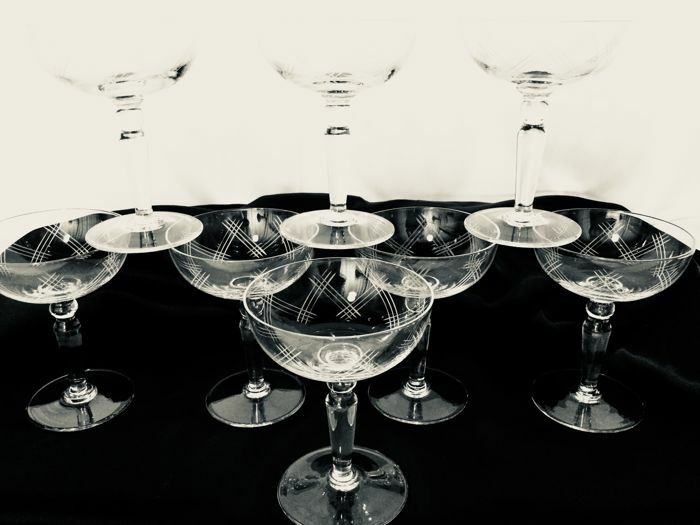 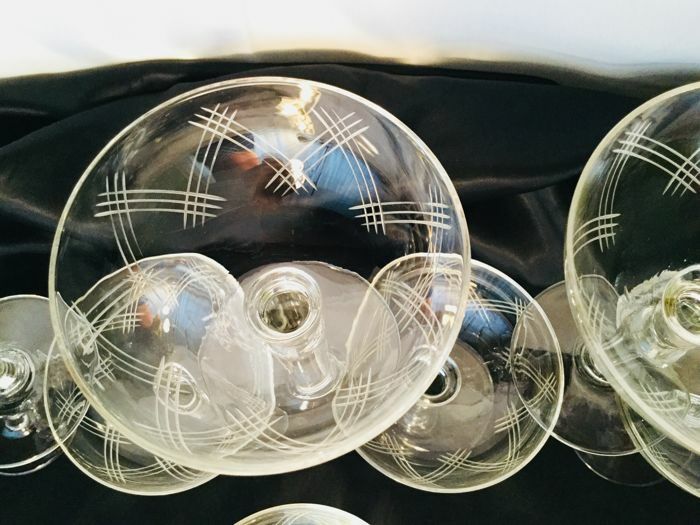 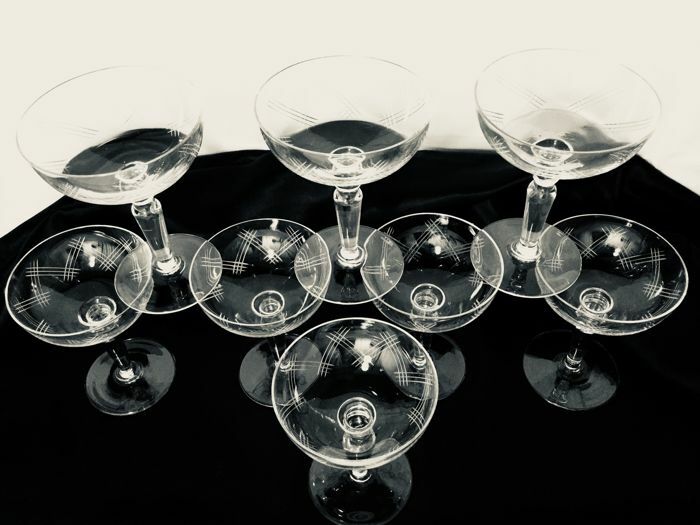 The 8 glasses are in excellent condition, entirely intact. 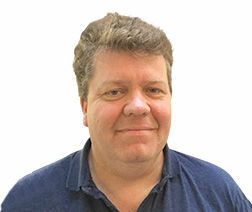 Will be packaged with care and shipped by insured and registered post. 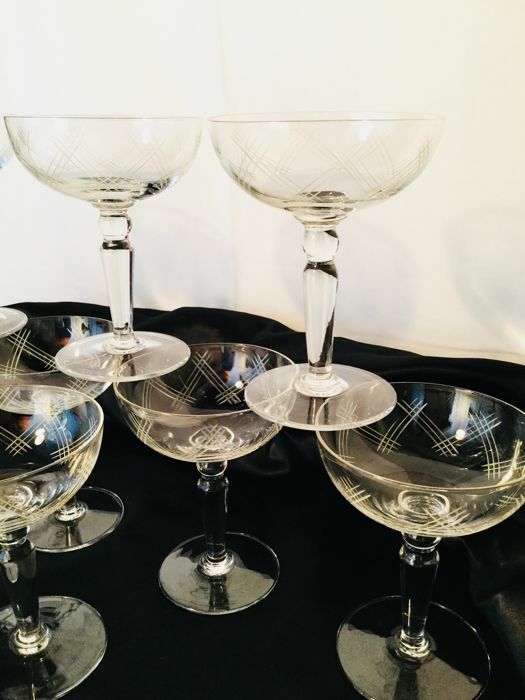 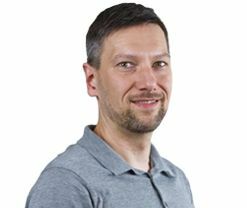 Feel free to check my other items on offer as well.